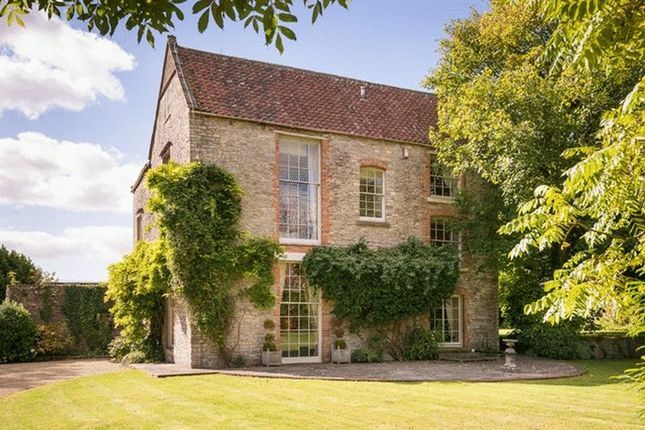 The Old Rectory is an extremely attractive, classical Georgian House approached from a gated driveway which leads to a gravel parking area in front of the property. The house is Grade II listed and well positioned within the village and benefits from great privacy from the enclosed gardens and high hedges surrounding the house. The Old Rectory is a grand house on a manageable scale, within a layout that lends itself perfectly to a modern family home. The impressive entrance hall displays the grand Georgian elements of the house, with a flagstone floor and galleried staircase leading to the first floor. The principal reception rooms are accessed from the hall, including a superb formal drawing room with a marble surround fireplace and vast sash windows looking out over the gardens. The older part of the house contains the paneled dining room, as well as a fantastically designed Smallbone kitchen with granite work surfaces and four oven aga set into an inglenook fireplace with its original bread oven. There is an additional pastry kitchen next to the main kitchen, this is also extremely well designed by Smallbone, with a central island and preparation areas. The breakfast room has a doorway leading out to a sheltered court yard area for outdoor entertaining and the rear hall gives access to the cellars. The impressive Georgian proportions continue to the firstfloor, most notably in the master bedroom suite which features a dressing room and en suite bathroom as well as a floor to ceiling sash window giving far reaching views over the surrounding stunning Somerset countryside. 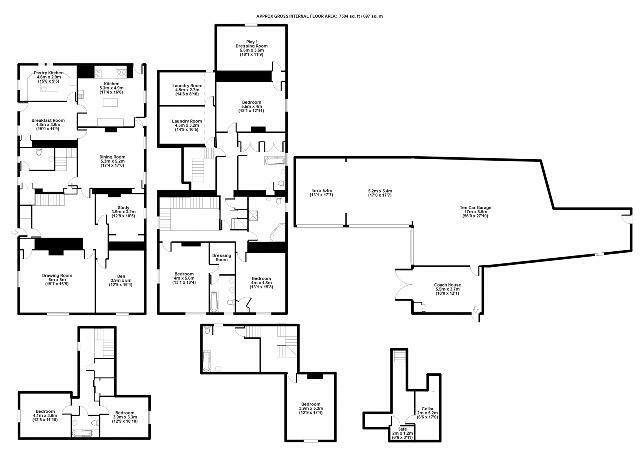 There are a further two bedrooms and two bathrooms on this floor and a large dressing room/playroom at one end. The second floor has a fourth bedroom and bathroom, and there are another two bedrooms and a bathroom on the third floor. The Old Rectory is situated in the middle of the sought after village of Hinton Blewett, placed evenly between Bath and Bristol. Hinton Blewett is a stunning Somerset village with an active community, a wonderful church and a well-regarded public house ‘The Ring O’ Bells’. Bristol and Bath are both about 13 miles from The Old Rectory and offer extensive shopping and recreational facilities. Road connections are good, with access to the M4 motorway. Regular train services to London Paddington can be found from both Bristol Temple Meads (from 104 minutes) and Bath Spa (from 84 minutes). Bristol Airport is less than 20 miles away and offers flights to various international destinations. There are a number of golf courses nearby including Farrington Park and Fosseway Golf Club. There is national hunt racing at Bath racecourse, fishing and sailing on the Chew Valley Lake. Castle Combe circuit is about 28 miles to the north east. Property descriptions and related information displayed on this page, with the exclusion of Running Costs data, are marketing materials provided by Killens, and do not constitute property particulars. Please contact Killens for full details and further information. The Running Costs data displayed on this page are provided by PrimeLocation to give an indication of potential running costs based on various data sources. PrimeLocation does not warrant or accept any responsibility for the accuracy or completeness of the property descriptions, related information or Running Costs data provided here.